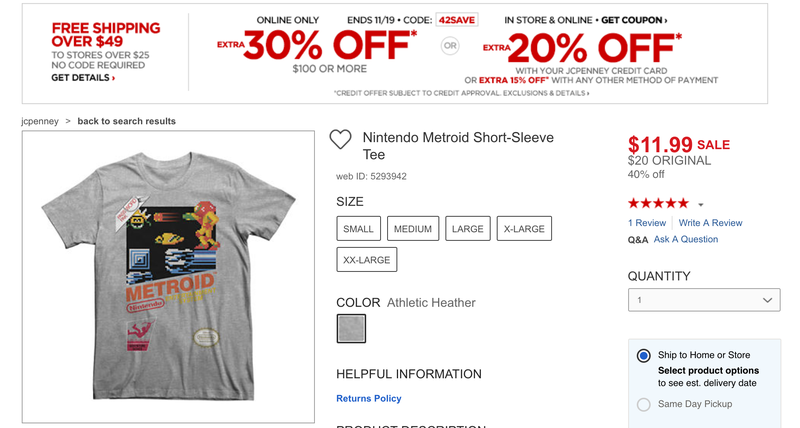 JCPenney is having a notable sale on Nintendo/gaming apparel right now with loads of t-shirts and more starting at just over $10. You’ll need to include your purchase in an order of at least $49 to receive free shipping. While most of the t-shirts are listed at 40% or more off already, code 42SAVE will knock an additional 15% off bringing some items down to $10.19. Just about all of the options we have looked have multiple sizes available, but be sure to act quick as stock is expected to dwindle quickly. Only true gamers will understand how awesome you look in our Zelda tee.